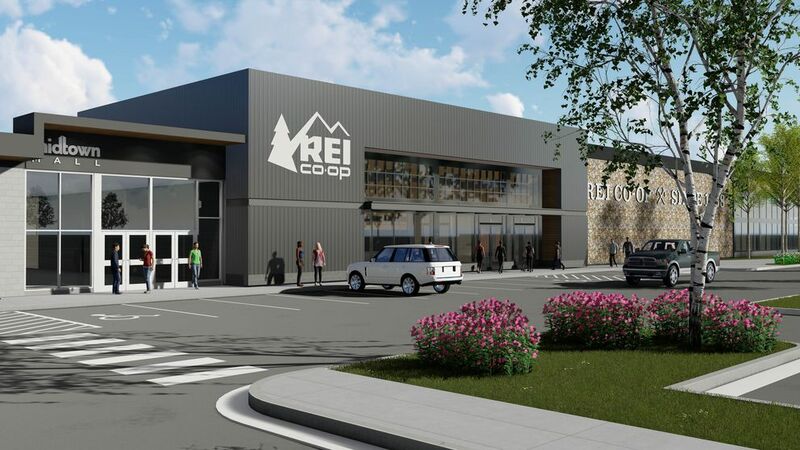 It's official: REI Co-op is moving its Anchorage store from Spenard to the Midtown Mall, formerly known as the Mall at Sears. The national outdoor-gear retailer announced Tuesday it will open the new location in early 2019. "The new location will offer increased parking for cars, indoor parking for bikes and better access to the Seward Highway for customers on their way to Denali National Park or the Kenai Peninsula," REI said in a news release. REI's announcement followed months of speculation about whether the retailer would leave its current location at the busy Northern Lights Center in Spenard, which also houses a coffee shop, a bookstore, restaurants and a gym, among other businesses. REI has anchored the east end of the shopping center since 1990. "We've had them for a long time and we're sorry to see them go, but we wish them well," said Renee Burk, building manager for the Northern Lights Center. Asked whether there was a business lined up for REI's spot, Burk said, "We have some potentials already, yes, but we're not going to comment on those." REI will move about a mile east on Northern Lights Boulevard to a space formerly occupied by a Carrs Safeway grocery store in the newly-renamed Midtown Mall. The lease was finalized Monday, said REI spokeswoman Caitlin Goettler. The grocery closed at the mall in September 2015, and the spot has been mostly empty since. The space is currently undergoing a full remodel, Goettler said. The new Anchorage REI will measure just over 50,000 square feet — not much bigger than its current 49,000-square-foot Spenard location, she said. "It's not a huge space increase in terms of square footage, but it will look a lot bigger because it will have an open layout," she said. Rendering of the main entrance to REI’s new Anchorage location in the Midtown Mall. The space is being remodeled and is expected to open in early 2019. Rendering by ECI Alaska. 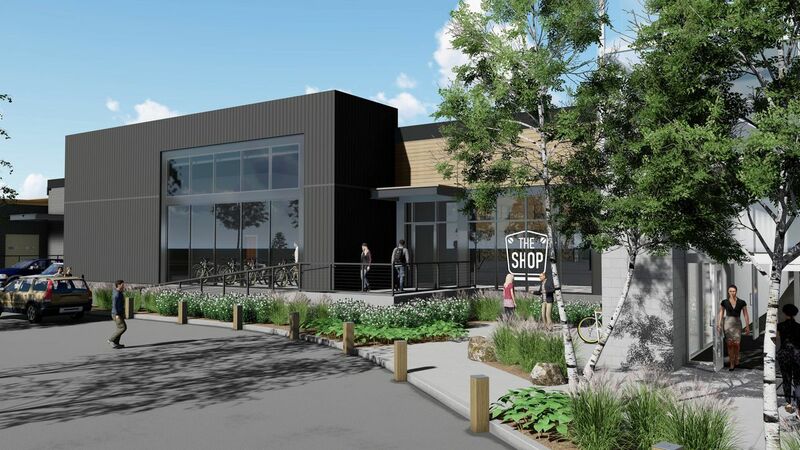 More open space means the store will have more large products in stock such as kayaks and roof racks, as well as an indoor area for customers to park their bicycles, Goettler said. The new REI will also have a community room for outdoor-related educational programs. REI will have doors that open into the mall as well as directly outside, said Linda Boggs, marketing director for the Midtown Mall. Boggs described REI's relocation as "fantastic." REI has a loyal customer base, she said, and she was optimistic the retailer would attract more tenants to the mall. "It's been a quiet time, but it's the busiest corner in Anchorage so we knew that eventually we'd be able to find some good tenants. And I think we've done that, so we're real excited about it," Boggs said.